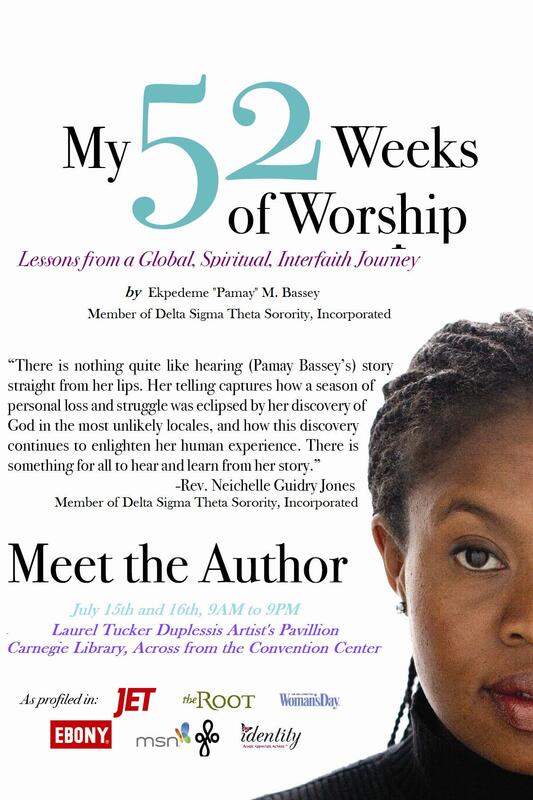 Pamay Bassey, Author, My 52 Weeks of Worship, will be in DC on Monday and Tuesday, July 15th and 16th, 9 AM to 9PM at the Laurel Tucker Duplessis Artist’s Pavillion in the Carnegie Library across the street from the DC Convention Center. If you are in the DC area, come by and say hello. Let’s talk about the journey!